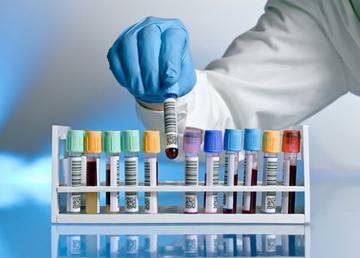 Redstar Backgrounds offers a myriad of drug testing services. We offer direct online voucher screening, in-house drug screening programs and an MRO for drug screening review. Let us evaluate your current method of screening potential new candidates. We will tailor a drug screening program formatted to suit the needs of your company. Redstar Backgrounds offers background checks, driver’s license checks, drug screening and online employment credit to make screening your new hires more efficient. Alcohol and drug abuse with staff members of your company can be a costly problem. The concerns can range from lost productivity, absenteeism, injuries in the workplace, sleeping on the job, poor decision making, low employee morale, fatalities and extended liabilities for your business. This system allows the candidate to walk into a clinic with an electronic chain of custody form and a photo ID. Collection sites for drug testing are offered nationwide. Completed test results are delivered via online profile, fax or email. DOT Drug Tests screen for the same five drugs as does the SAMHSA-5 which include marijuana, cocaine, amphetamines, opiates and phencyladine. The Department of Transportation requires DOT drug testing of safety-sensitive employees in transportation industries. A DOT drug test involves the use of a special “chain of custody” form, a split sample test, and a review of the drug testing process and laboratory results by a Medical Review Officer (MRO). The MRO is a licensed physician who is qualified to determine if there is a legitimate medical explanation for a particular test result. Redstar Backgrounds can implement and manage your Random Drug Screening Program with our random selection management software. As drug screens have become a more critical component of the background check process, random screening programs have become increasingly popular in the workplace. Redstar Backgrounds can help you create a custom program to meet the needs of your company. It’s very simple to get started. You simply provide a list of current employees, frequency of the random tests to be conducted, and the percentage or number of employees to be tested. We can conduct Quarterly, Monthly or Weekly random programs. The exact format to provide this information will be provided to you at time of set-up. Let Redstar Backgrounds evaluate your current method and utility of onsite drug screening kits. We supply urine screening kits, saliva screening kits, urine collection cups, dip cards and other drug screening supplies. Our drug screening solutions are top notch in the industry. We work with an online chain of custody form that is taken into one of several thousand clinics nationwide. We would love to evaluate your current drug screening program. Please contact Redstar Backgrounds at 210-960-4000 or email us at support@redstarbackgrounds.com to get started or if you would like additional information.